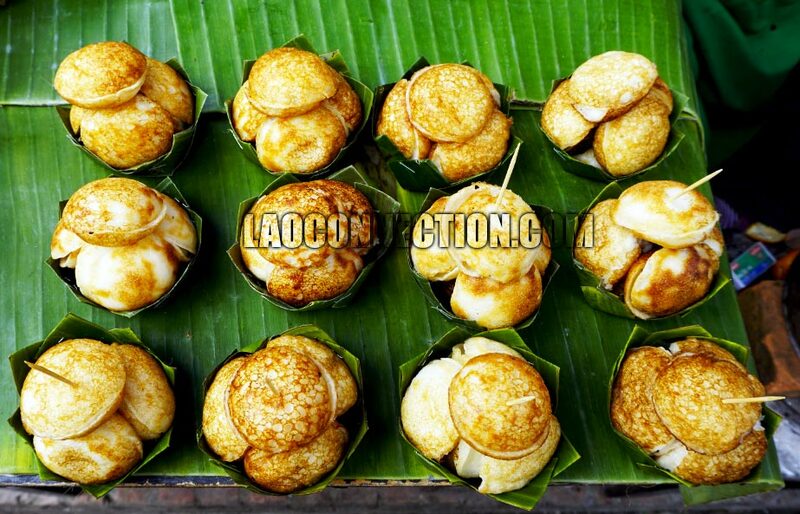 One of the quickest and inexpensive road side snacks you can buy in Laos are these cute little coconut cakes. In Laos, they're generally made on the sweeter side. But other vendors around Asia make a savoury, eggy version topped with chopped green onions. Think of them as thick round little pancakes. 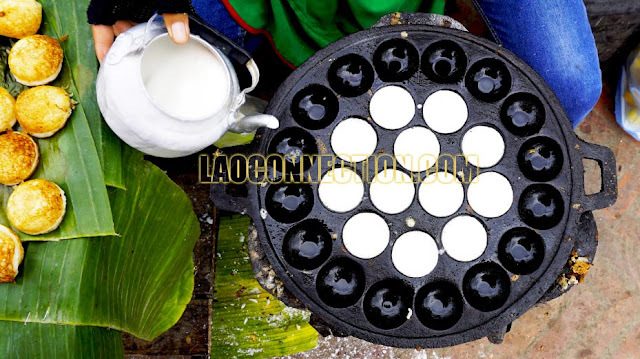 The basic batter recipe is straightforward and simple, comprising rice flour, coconut milk, sugar, oil and sometimes an egg. More elaborate recipes can include corn, taro and coconut cream. From there, the batter is poured into a pan of well oiled round moulds. Half way through the cooking they're flipped over. The end result is a fluffy, light, moist bite sized cake with a strong aroma and flavour of coconut. In Lao they're called kanom kok (pronounced like the coke drink) ຂະໜົມຂົກ.